ESR | December 1, 2003 | Criminal activity or Christian persecution? Criminal activity or Christian persecution? With a sharp looking rollneck sweater, dress pants, English style golf cap, square glasses and an intensity not usually found by someone so young, he looks every bit the academic that he is. But Joshua Fellman, 21, of Claremore, OK., is embroiled in the middle of a controversy not usually faced by academics or young men his age. Along with a friend and his 18-year-old sister, these three students are the subjects of a criminal investigation for violating the Oklahoma Computer Crimes Act by allegedly downloading illegal hacking materials on school computers at Rogers State University (RSU), a small state school in Claremore, OK. However, while the authorities allege criminal activity, the students are alleging that anti-Christian policies may have influenced RSU's actions. They said they were very vocal in their evangelical Christian faith while enrolled at RSU, including speaking out against a homosexual student group that tried to gain campus accreditation. The Fellman case is both intriguing and complicated but as it continues to make its way through the legal process, it has Fellman – who says he has never been contacted by the police to give his side of the story – wondering how soon it will be before he spends his first night in jail. He said, "Arrest is a real possibility and that idea is not pleasant. If (I'm arrested) it gives more credence to their charges." The charges to which Fellman referred are those that have been filed by RSU. In return, the university is facing lawsuits for allegedly violating the civil rights of Fellman, his sister Michaela and another student. According to some accounts, in August 2003, Fellman, his sister Michaela and another student called Matthew Bickford were allegedly taken from their classes at RSU, held by armed guards, questioned and not allowed to call their parents. Joshua Fellman and Bickford were then expelled and Michaela Fellman was put on academic probation. The students claim that RSU has not provided any proof of their alleged criminal activity. The accounts of what happened the day the students were questioned differ greatly - depending on who is telling the story: the police department or the former students . Joshua Fellman told his version of the story. At the beginning of the 2002 academic year, he went to his class for what he thought would be an ordinary day at school. The class was interrupted by an academic dean who asked Fellman to accompany him to another room. About five minutes later an armed security guard allegedly came in and told Fellman not to leave the room. He was detained for about 45 minutes until the academic dean returned. Fellman, who also worked at the university as a web designer and multi-media specialist, said he was then taken to another area where he met the Supervisor of Computer Technology. He said, "They proceeded to interrogate me for about one-and-a-half hours with vague questions, such as ‘What did you do to the computer network?' I didn't understand." 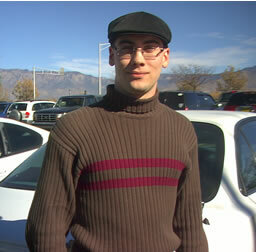 Fellman claimed he was threatened with a variety of charges by the academic dean. He said that when he asked for a "clarification," he was accused of not answering the question. Fellman said he was then moved back downstairs where, he claimed, the academic dean used "very unprofessional" language. According to Fellman, he still had no idea what was going on. However, a bigger shock was still to come. Fellman said, "They said that because I was not being cooperative I was being expelled and I was handed a signed expulsion letter dated the day before (the interrogation) - the 19th. I was told to vacate campus and leave. As I went downstairs, I met my sister who had also been interrogated and refused a phone call to her parents." Fellman said he was "shocked" at his treatment. "I had worked with these people for about two years. I was confused about the way it was handled." However, Claremore Police Investigator Tim Norris said what actually happened that day was a lot different from the story now being told by Fellman and the other accused students. According to Norris, "These ... suspects are lying (and giving false information about) something that never happened. While they were taken out of class, the head of security was never armed. If (a suspect) had wanted to leave he could have done." Norris, who said he has put in requests for arrest warrants for the two suspects who were expelled from the school, said they have violated the Oklahoma Computer Crimes Act and are very aware of what they have done. Norris said that in conjunction with the Tulsa Police Cyber Crimes Unit, law enforcement authorities found that the young men had downloaded what he called illegal hacking materials, "programs to get other people's passwords." According to Norris, as a result, the young men had access to the computer belonging to the university president, payroll, grade records and could even watch tests being typed up. "It would take years to discover what they have done," Norris said. He added that the story being told by the suspects "is not sticking with the facts. They're trying to distort everything." Norris said he doubts whether the full scope of the suspects' alleged crimes will ever be known. "We're just scratching the surface. They got caught before they had the chance to do anything but they have (already) cost RSU over $30,000 to correct the issues." Tim Stadler, with the Tulsa Police Cyber Crimes Dept., agreed that the alleged criminal activity was just that - criminal - and said it had nothing to do with religious persecution. He said, "I think it's unfortunate when you have someone trying to hide behind a religious cloak. It became obvious very quickly that the intent was to intimidate the district attorney's office into not filing charges by putting religious pressure on them. They were hiding behind the cloth." Stadler explained his department's role in the investigation. He said smaller police departments like Claremore's contact his office when they lack the expertise to deal with an investigation. According to Stadler, after RSU officials found out they had been hacked, they contacted the Claremore Police Dept., which then asked Stadler for help. Stadler first talked to RSU President Wiley, then the school's board and the system administrator. "They ended up giving me a number of computers to examine what had gone on. During that exam, there was a protest going on by the Baptist College Ministry (BCM). "Based upon what I have found and recovered as evidence, when the whole case comes out, the religious (backing) is going to look silly. I feel sorry for the religious (backing). They don't know what I know. It will really look bad for them if they go protesting in front of the courthouse," Stadler said. Asked for his thoughts about the alleged criminal activity by Fellman and Bickford, Stadler said he really thinks they are "good kids." However, Stadler added "this case would be one in which these young men did some things that are wrong and just aren't quite ready to face that." Brett Rogers, BCM Director at RSU, had a very different perspective, responding by e-mail, "I can't imagine these (two students) being involved in any wrongdoing toward Rogers State University or anyone else. If I were to line up every BCM participant in my 13 year collegiate ministry career, which would be hundreds of students, Josh and Matt would stand out and be candidates for poster children for honor and character. Some day I hope my four daughters marry young men of the quality of Josh Fellman and Matt Bickford." The case has been emotionally draining for parents Mike and Janice Fellman, who left Albuquerque in 1995 to escape what they saw as an escalating gang and crime problem being faced by the city. They went to Claremore hoping for a country lifestyle and to enjoy the 20 acres of farmland and specialty sheep they bought. Their children helped Mike and Janice build fencing and put up stalls. They also took trips looking for more sheep to add to those they already had. However, Mike Fellman said, the case has changed their perspective on everything. "It has become real hard to enjoy the peace and quiet of the animals." Janice Fellman said the once serene rural Oklahoma life of her family is no more. She said, "Your heart races. That's all that's on your subconscious. That's all we dream about. Food doesn't taste good. We've both lost weight. Our dream lifestyle has been shattered." The case has even changed their television viewing habits. Mike Fellman said, "As a family we used to enjoy watching the police shows but no more. We don't have any respect for them." Janice Fellman said that the situation with the police infuriates her. It contradicts what she and her husband have told their children about law enforcement all their lives. "We have taught our children to trust and respect the police and to go to them for help when they needed help (but now they are) afraid of something being planted on them." Mike Fellman said that Claremore initially seemed a great place to go to, with RSU changing from a two-year to a four-year college and offering the degrees that both Joshua and Michaela wanted. As time went on and the kids grew, Michaela even developed her own on-line business. "It was exciting to see the kids working together– Josh built the web site – and it became a fun family thing to do." However, the Fellman's idyllic family lifestyle has taken a decidedly different turn. The reality of what the Fellmans were facing hit home even harder when their attorney had to advise them about something they had not even thought about before: what Joshua and Michaela should do if they were picked up and taken to jail. However, despite the struggles his family is facing Mike Fellman said, "We believe God is in control. This is something we believe God wants us to go through for His glory. If we allow them to do this to our kids they will do it to others." Referring to his son, Mike Fellman said "He doesn't have to win, he has to stand." Janice Fellman said the initial interrogation of her children "just floored me. I immediately called my daughter when I got the call.We thought there was a mistake. No one would say anything. They said what had happened was irrelevant. We asked for the tapes of the meetings but nothing was forthcoming. I thought at first that maybe the kids didn't understand (what had been said). While Fellman initially thought the whole situation was a misunderstanding, that began to change as time went on. Fellman claimed the local police department was calling his friends and trying to get them to testify against him. He said, "One of the friends who worked with Matt was called in and asked for any information about Matt and our specific work habits. He was asked for specific things and told that if he did not write them, that his job was in jeopardy." Fellman added, "This was handled in the same way a drug investigation might be handled where people are asked to testify against each other." Michaela Fellman also allegedly experienced treatment similar to her brother's. RSU handed down its official sanction to her in a letter dated August 21 2002. It read in part that she had been found in violation of the school's Student Code. The letter continued, "Your actions of using an administrative account, password sharing, contributing to the disruption of services and unauthorized use of accounts other than your own have led to the following sanctions," one of which was she was placed on academic probation for the 2002-2003 school year. In a speech to the Nov. 7 2002 meeting of the RSU Student Government Association (and reprinted on www.rsusaga.com as a "reflective essay"), Michaela gave her thoughts on what was going on. According to www.rsusaga.com, the owner of the site was in attendance that night and obtained a copy of the speech. Michaela who at the time was a sophomore biology student and also worked on campus as a tutor, told the SGA that she was "removed" from the tutor lab on August 20 at about 11 a.m. and taken to the university president's office. She said, "I was held for three hours, questioned under extreme intimidation, tape-recorded and, required to tell them about all my computer activities. I was not advised of my rights under the Code of Conduct or the law and I was denied a repeated request to call my parents." Michaela said she was unable to imagine what she was supposed to have done. Even though she claimed that she had done nothing without her supervisor's approval, she was still placed on a year's probation. In addition, she said, "I was required to drop my computer class and cannot touch a computer on campus for an entire year. Because I questioned their harsh treatment and the charges, I have been threatened with additional action." Michaela claimed that the RSU administration has ignored her rights under the student code. "They will not provide evidence of their charges against me and in response to my questions about what damages occurred from my allegedly illegal actions, they say it is irrelevant. They have refused my requests for an appeal hearing." Michaela told the group the she realized she was taking a risk by going public with her concerns, but that she wanted the SGA to be aware of what she called the "illegal actions" that she claimed the RSU administration was using against its students. She said, "The Student Code does not suspend your constitutional rights. You have the right to remain silent if you are accused of a violation and if you choose to cooperate and try to explain your actions, everything you say will be used against you both here on campus and perhaps with law enforcement authorities as well." A request for information on the case to RSU's public relations officer Brent Ortolani was answered with a faxed statement which read, in part, that for privacy reasons, "Rogers State University cannot comment on the academic records of any of its current or former students. This prohibition includes disciplinary records, which are considered academic records under Federal law." Although it is not clear whether he still holds that position, Ortolani was at one point also the "main contact" and "executive officer" for the "Tulsa Gay Lesbian and Bi Transgender Community Center/Tulsa Oklahomans for Human Rights (TOHR)." Fellman and his colleagues (as part of their membership of the campus Baptist student group) were very vocal in their opposition to a homosexual group that attempted to gain accreditation on campus. This reporter contacted TOHR by e-mail and asked, "Is there a link between Mr. Ortolani's (past?) relationship with your organization and the treatment of the Christian students at RSU?" A terse two word response from the group's webmaster read "No comment." Brett Campbell, a former administrator with RSU, also refused comment. Responding to an e-mail, he wrote back, "I am no longer employed at Rogers State University and do not wish to comment on your questions." Since the expulsions, the www.rsusaga.com website, a website sympathetic to the cause of the students, reported that attempts have been made to intimidate the students. All three students allegedly found their tires flattened by nails three days after the interrogations. All of the vehicles had been parked at different locations. Both Fellman and Bickford, in addition to facing criminal charges relating to the investigation, may end up (according to some hints) being investigated by the FBI if that is not already happening. The website also alleges that since Aug. 20, not one police officer or FBI agent has been in contact with the Fellmans. However, Norris said there is an easy explanation for that. He said because attorneys were brought almost immediately into the case, an interview was not possible. To develop an effective defense, the students reportedly asked on numerous occasions for copies of the tapes which were made of the interrogation and the specific charges against them. That request was not granted. Although RSU is reportedly required by its own code to provide to students with relevant evidence and a list of witnesses to use in a hearing, according to the web site www.rsusaga.com, that did not happen in this case. Less than 48 hours before the appeal hearing, RSU sent a letter stating that the university would provide NO evidence. RSU "listed witnesses who were the students' interrogators one of which was the person who had previously fired Matthew, thus hampering the students efforts at developing a defense. How does a person defend himself without knowing what he is alleged to have done?" During the appeal hearings, accusations were made about the students' use of the campus computers. According to www.rsusaga.com, the Director of Computer Services appeared to imply that the students intended to "take down the network" because she noticed "suspicious messages" being used in their Instant Messenger notes. The code identified was "Sup Yo." According to www.rsusaga.com, "If you talk to any student on campus you will find out that ‘Sup Yo' is like saying ‘What's Up?' in student lingo." Another allegation from university authorities was that Fellman was running a web-site development business using university resources. The web site www.rsusaga.com pointed out that RSU had hired Fellman to develop various departmental websites and he had been employed throughout the summer teaching website design to high school students. As the site writer commented, "All the allegations were easily explained when viewed in context with Joshua's (Fellman's) and Matthew's (Bickford's) positions as student workers helping faculty/staff/students with the university's computer system." It reportedly took the RSU administration three weeks to notify the students of the president's decision to expel the students. According to a letter from the Dean of Students on www.rsusaga.com (see the documents section on the site), the president accepted the appeal board's recommendation to expel them. The students have continued to maintain their innocence of all charges. The site owner of www.rsusaga.com commented "It is interesting to note that almost all the students called in for questioning are BCM (Baptist Collegiate Ministry) members. Many citizens of Claremore perceive this as religious harassment." She continued on the same site, "When (a university) administration official fires a person for violating a non-existent law, one wonders why. When the students ask for evidence of the charges leading to their expulsion and the administration isn't forthcoming, one wonders why. When the students are ready to have their lives dissected in a court of law and the administration asks for a dismissal of the case without any hearing, one wonders what the administration is trying to hide." The case has a complex background, depending on who is talking. While Norris said the case revolves purely around alleged computer crime and nothing else, the suspects and their sympathizers have a different explanation and tell a vastly different story. According to information contained on www.rsusaga.com the situation originally began on Sept. 11, 2001.When Bickford heard about the terrorist attacks, he reportedly went quickly to the school's administration building to request a key to the flagpole so he could lower it to half mast. He was reportedly told that the school president did not have the authority to grant such a request. The information on www.rsusaga.com reports that Bickford then contacted then-Gov. Frank Keating's office. Bickford received an e-mail granting him permission to lower the flag. However, he was still not allowed to lower the flag. According to the web site, "Students wondered why their flag was not lowered then in observance of the attack on America when most of the other flags in town had been lowered." A Tulsa Christian newspaper reported that sources close to the case said RSU President Joe Wiley was reportedly furious about Bickford "going over his head" to the governor. Then in Dec. 2001, Jan Carroll, the RSU director of computer services and Bickford's boss, referring to a state law, allegedly ordered Bickford to stop signing his campus generated e-mails with the phrase "God Bless." Bickford contacted a legal aid organization to enquire whether there really was such a law. Bickford was allegedly told there was not an applicable statute and he claimed that when he tried to discuss the issue with his boss (Carroll), he was fired. According to the on-line narrative, "He was told that it was University policy to fire anyone who threatened to bring suit against the university even though Matthew emphatically stated that he did not intend to sue and was only seeking to understand the law." Bickford then contacted Keating's office, asking about the firing policy and the use of the words "God Bless." Keating wrote the president of RSU a two-page letter asking him to explain the policy. (That letter is available at www.rsusaga.com under the documents section titled: Gov. Keating Letter). Wiley reportedly never responded to Keating. While Bickford requested an explanation of this policy, he said Wiley never responded. After Carroll fired Bickford, his friends were reportedly told that if anyone had questions about the situation, they should contact Carroll for an explanation. "Anyway, I went by on Jan 14th and asked my boss about the policy and she got really mad at me and said some pretty mean stuff, among some of being that if I talked to anyone else about this I would get fired. Anyway, I got called back into her office the next day and told I could either ‘meet with the President of the University (Immediately, and he would tell me exactly what she told me then I was to drop it), or I could just drop it completely, or?' When I asked what came after the ? I got asked to resign, which I said I wouldn't do, and then she fired me. I had a meeting with Dr. Wiley on the 31st and he told me that I wasn't fired for asking about the policy or my work ethic (In fact he had some nice compliments for the work I did, and said that everyone felt that was), but that I was fired because they thought I was seeking legal counsel and was planning to sue the University. Crazy isn't it? Anyway, if you want to keep updated, I have a website? www.godbless.ws I'm trying to keep everything up on there. Anyway, yeah, we'll see what happens with that. God has control of this and He's going to do what He wants with it, and hopefully change some hearts and lives in the process." Bickford's friends at BCM were concerned about their friend's firing. Some of these individuals received permission from the staff of the Baptist Church they attended to ask prayer for Bickford and a situation they regarded as religious persecution. However, while they were reportedly unaware of her presence, Carroll was present in the congregation when the request was made public. The web site narrative commented, "The incident appeared to cause hurt and embarrassment which led the students to issue a public apology to (Carroll) for offending her." Asked to comment on the incident, the current pastor of First Baptist of Claremore, Ted Kersh (who was not there at the time of the incident), said, "the church responded properly and moved on with our ministry and continues to have great support from everyone involved." Kersh declined comment when asked to elaborate on what "responding properly" meant. He just reiterated, "We responded properly." Bickford was offered employment as a tutor at RSU and accepted this position where he remained until the end of the school year in May 2003. RSU presented him with an engraved plaque of appreciation and recognition for his work as a tutor. Peter Williams, who has an earned Ph.D. from Texas A and M, was Fellman's boss at RSU. He was named as an exculpatory witness for the case – someone who could refute some of the university's charges against Fellman. Less than 24 hours after that document was filed, Williams was reportedly contacted by university officials and told that his contract would not be renewed. Williams said there had been no complaints about his work. From his perspective, Williams explained what had happened. He said that on June 3, 2003 at about 11.30 a.m. he retrieved a message from his voice mail. It was a message, he said, from the secretary to the school's executive vice-president asking him to come to a meeting at 1.30 p.m. Such meetings were pretty routine for Williams, as he was many times asked to discuss projects on which he was working. According to Williams, when he asked which project information he should bring to the meeting he was told, "Bring yourself." That was more than a little surprising, he said. Williams said, "At about 1.30 or 1.45 p.m. they escorted me to a little meeting room. The vice-president of academic affairs greeted me and we all sat down. (They asked me) ‘What do you know about what Josh (Fellman) was doing wrong?' I said he wasn't doing anything wrong." At that point, Williams said his contract was terminated. He said, "I think they knew I couldn't be bullied into saying things that weren't true ... I knew Josh and I suspected that he had made the wrong people mad. He crossed the wrong people once too often." Mike Fellman is still hoping that his son will be reinstated, his record cleaned up and the family's attorney fees paid, but when asked why the family is so unwilling to back down, he said "If we don't stop (them doing) this and honor God's Word then they're going to do this to other kids." Jeremy Reynalds is a freelance writer and the founder and director of Joy Junction, New Mexico's largest emergency homeless shelter. He has a master's degree in communication from the University of New Mexico and is pursuing his PhD in intercultural education at Biola University in Los Angeles. 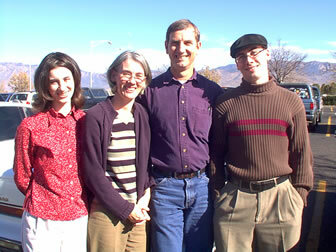 He is married with five children and lives in Albuquerque, New Mexico. His work can be viewed here and weekly at www.americasvoices.org. He may be contacted by e-mail at reynalds@joyjunction.org.